Joe’s New Balance is the premiere online outlet for...New Balance shoes, obviously. But they also have a ton of workout apparel as well. For the next couple days, use the code APPAREL70 at checkout and get additional discounts on all the apparel they carry. Note: Unfortunately, the 70% discount applies to the regular price, not the sale price (usually 50% off) of already-discounted options. 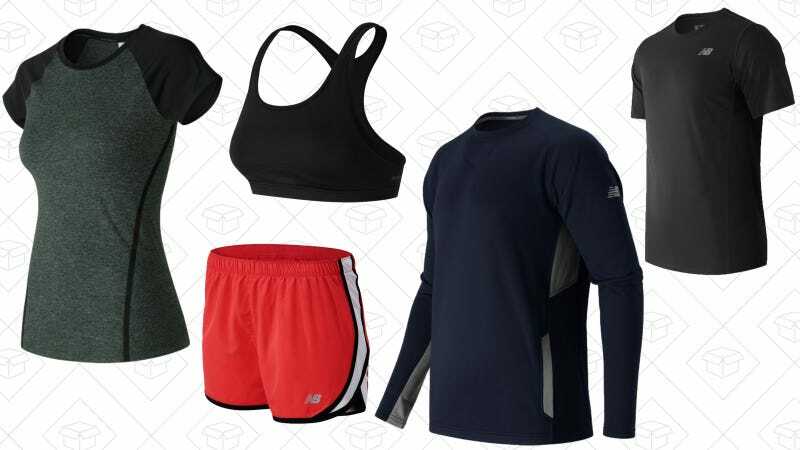 If you don’t need any clothes, but need new workout sneakers, they also have up to 60% off a ton as well.